This paper mockup was made without measurements, math, or ease. I’ve been wanting to put together something more advanced than the basic conic block for a while now – something that addresses the upper torso and can serve as a base for later periods. I’d been working in my normal sort of uber-mathsy direction, but my students have politely informed me that they really don’t like math as much as I do. Also, they kinda think that my love of fractions is abnormal. There’s a definitely preference for “physically inherent geometry” (ahem – folding) in the world today. It’s not 100% finished yet. I’m still fussing with the armscye – I know where I went wrong. Paper is one of the least forgiving materials to use for a mockup, so I feel like this went relatively well. It’s at a point where it’s trivial to alter to get the right fit, but it’s also pretty trivial to fix the method. The back technically went better than the front at the arm, but the front error pulls it off. Start to finish time for the first attempt was about 40 minutes, which seems long, but I was taking pictures as I went. Here’s my question for you, denizens of the interwebs: Is this the kind of thing where I should make a FaceBook page/group or a Google circle thing so people can share their experiences/pictures? I would like to get feedback from people using the method once I finalize it and get it posted, but I am, like, Little Miss Social Media Impaired over here. What’s the most convenient forum for you all? Or am I just being silly-pants? What do I want to do here? What’s a Google circle thing? *laugh* Okey-dokey. ps – I heart your email addy! this little lurker votes against Facebook, because she doesn’t want to get on there. Otherwise… No useful ideas. Mainly commented to ask if your method will work with real life people-bodies? 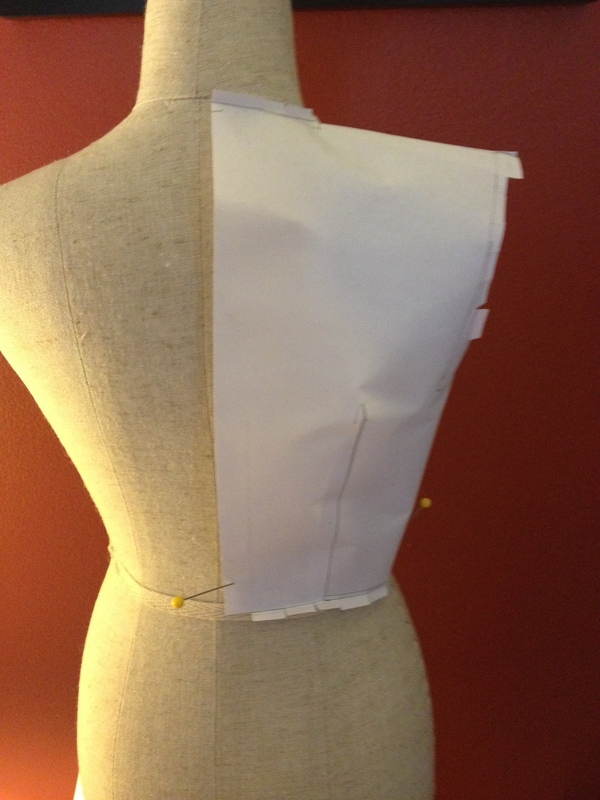 I’ve been thinking about “draping” a paper sloper on myself as an alternative to measuring and drafting. Because paper has none of that silly stretch most fabrics have. I designed the method to work for real bodies. The pitfall of draping with paper is that it doesn’t really drape, precisely. It crumples, creases, and refuses to make curves well. Draping on a live human is dicey because most people aren’t good at “now hold still!” Draping on yourself… Well, you can’t hold still. So that’s no bueno, right there. (Not to say I haven’t tried it. I have. Funny how there’s no demo of that action.) The other thing with full on draping is that a lot of people have a trouble keeping darts balanced (ie, both sides the same length). This is absolutely what the fabric wants to do, but I’ve noticed a human tendency to try to outwit muslin. I don’t want to get on Facebook either… In case you’d like to do it all in blog posts, maybe you could post a part 1 that is enough to get people started, and then add a part 2 (and/or revise part 1) based on the feedback in the comments? Hi, Anna-Carin – Your guess is prolly pretty close to what I’ve been working with, although I am going to skip the traditional strip-of-paper-with-all-measurements business. ;) I’m down with a feedback post. Thanks for the suggestion! Just now seeing this, I’m willing to be a test hamster for it! Hi, Jenn – I’m using my flat pattern class as my first round of test hansters. We’re starting tonight – yipes! 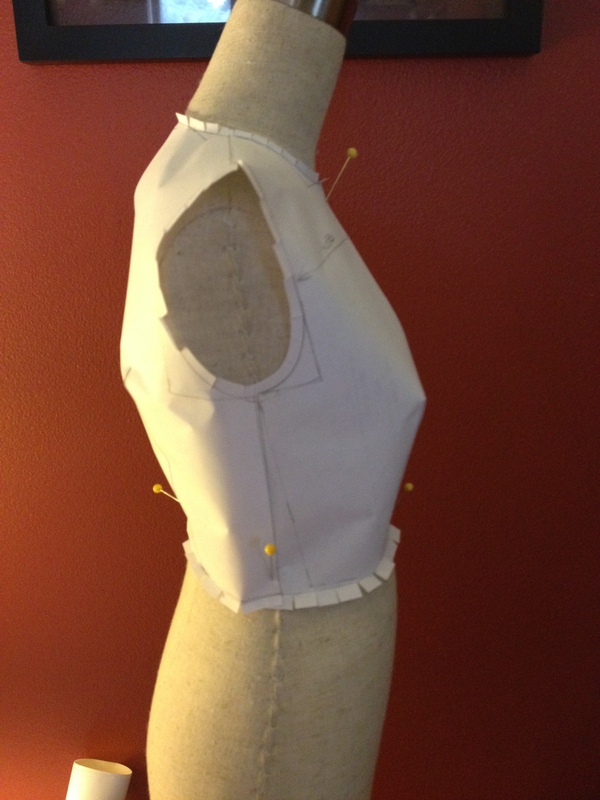 But we should leave with skirt blocks to test, do bodices next tuesday, and combine to torso next thursday. :) I’m very excited, but also hoping this doesn’t fall flat on its face. Why isn’t this forum a good place for sharing ideas? A responsive blog seems perfect to me. Hi, JL – I dunno, I guess I fell for the idea that people prefer social media. Thanks for the feedback! 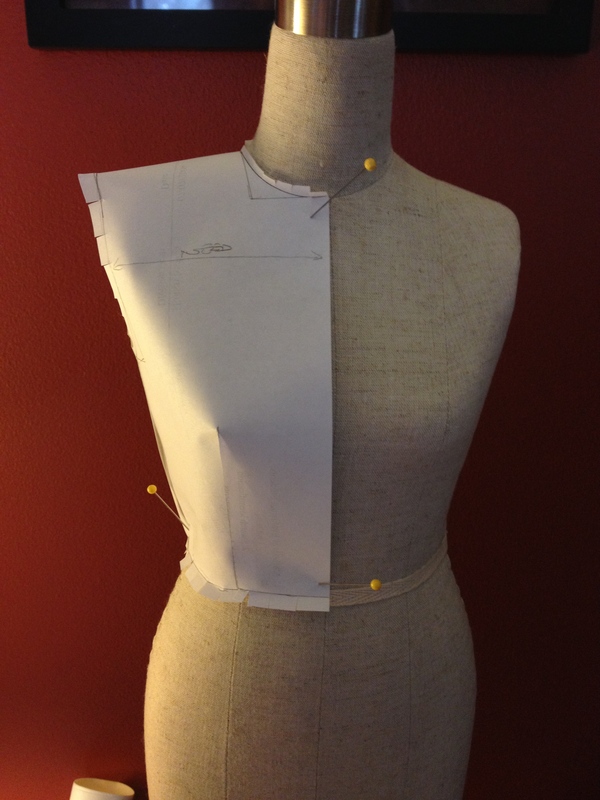 I’ve tried draping on my dress form double with baking paper before…that’s even more disobedient than normal paper. lol! Hi, LadyD – Yes, I can believe that! If it’s waxed baking paper instead of the parchment kind, it does have an advantage: you can iron pieces together so seams and darts stay closed to get an idea of fit. Hi, Suzanne – Thanks for the feedback. I hadn’t even thought of how to get the pictures on to Facebook. Shows how much I know about all that! I feel slightly less guilty now. Thank you. :) Glad you’ve found things here helpful, and I hope that continues going forward! This would be a brilliant and helpful thing, if you we’re still considering posting it!